Book Launch Party is a HUGE Success! Last Thursday was the book launch party for my new novel, A Beautiful Glittering Lie. 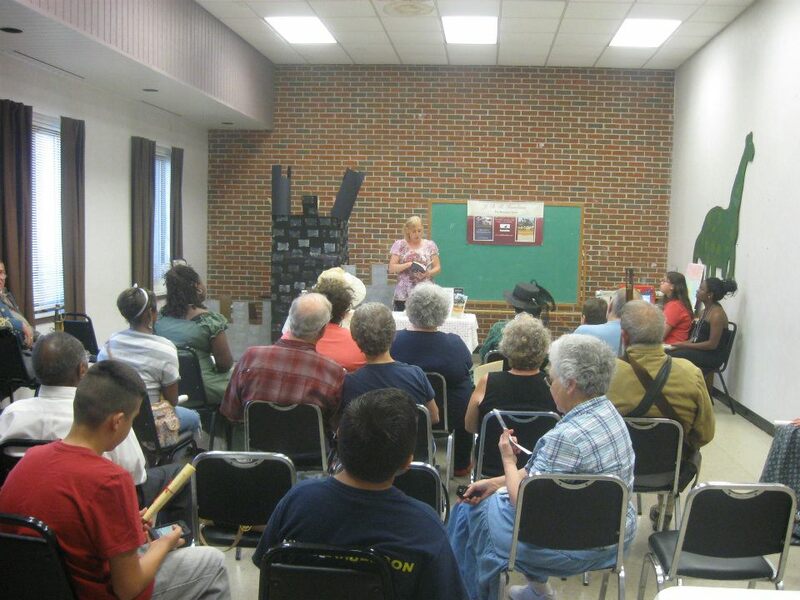 The event was held at the Horn Lake library in Horn Lake, Mississippi. 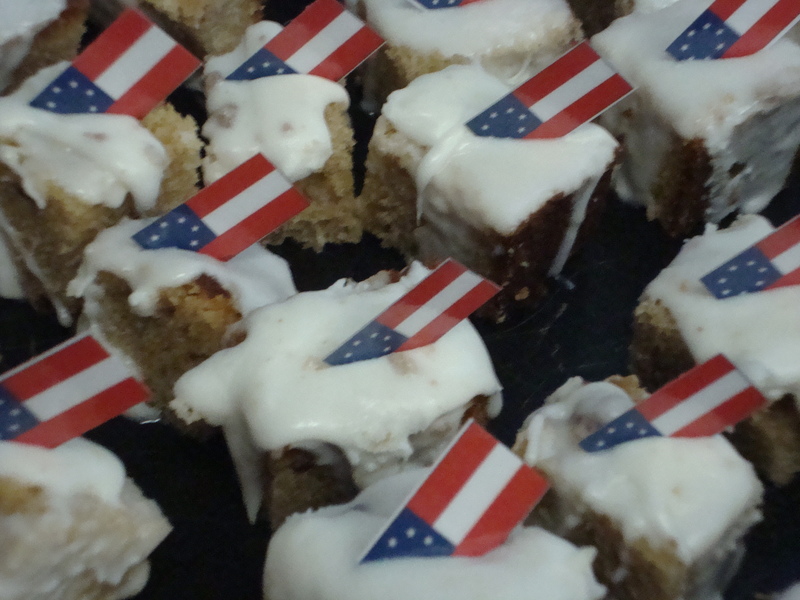 About sixty people showed up for the party, which included a presentation, book reading, treats, and a book signing. 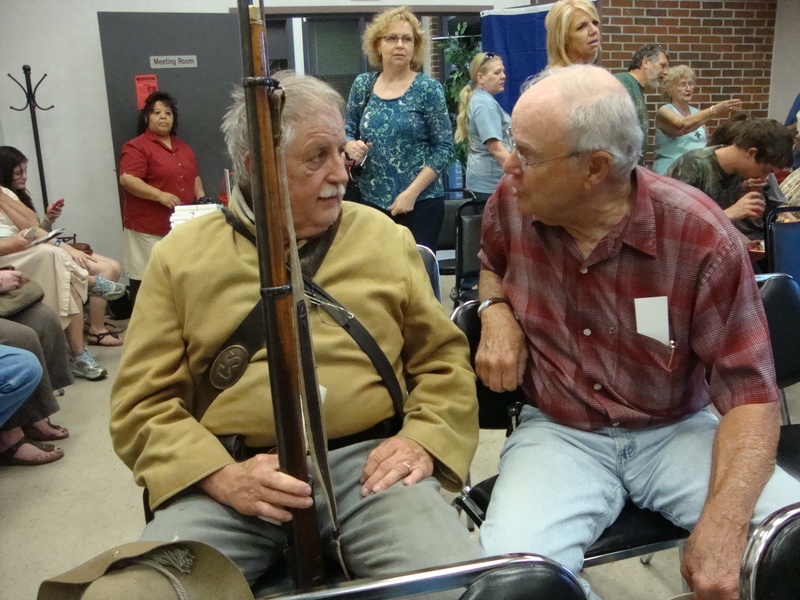 Reenactors were present to pose for pictures, too. I would like to express a heartfelt thank you to everyone who helped me make this event a big success. 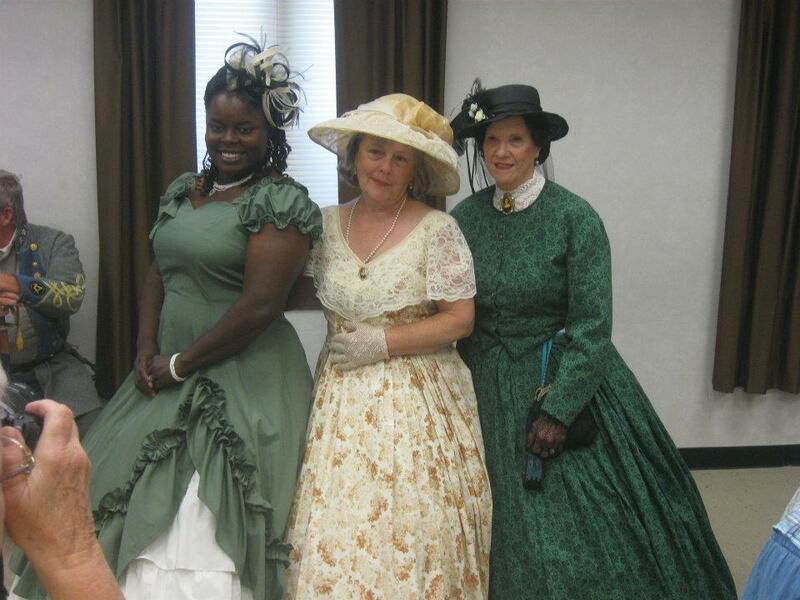 Thanks to the Friends of the Horn Lake library, Carson Culver for coming in during her vacation to introduce me, my dear friends Dorothy Herron and Lisa Reynolds, the reenactors who braved the heat in their wool Confederate soldiers’ uniforms and Southern belle hoop skirts, and the Smally family, who consistently volunteer at the library. I am so psyched about the local support that I can’t wait for my next book signing! Stay posted for updates and appearances. This Thursday, the book launch party for my new novel, A Beautiful Glittering Lie, will take place at the Horn Lake Library in Horn Lake, Mississippi. The book is the first in a four-book series about a family from north Alabama who are forever affected by events swirling around them that escalate into the Civil War. The party will take place from 4-6 p.m. at the Horn Lake Library, 2885 Goodman Road. Friends of Horn Lake Library are sponsoring the event. 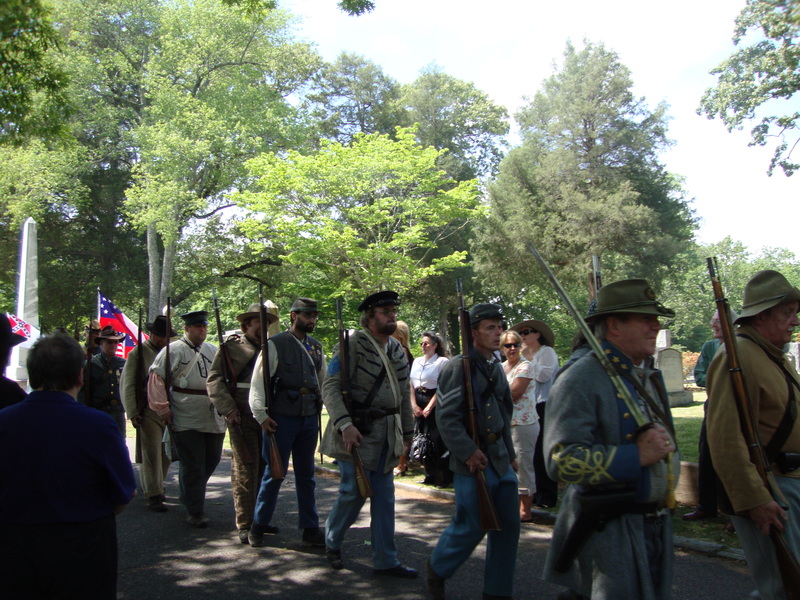 There will be food, beverages, music, decorations, reenactors dressed in Civil War era garb, door prizes, and party favors. Tell your friends! Invite them to come along! Bring your cameras! 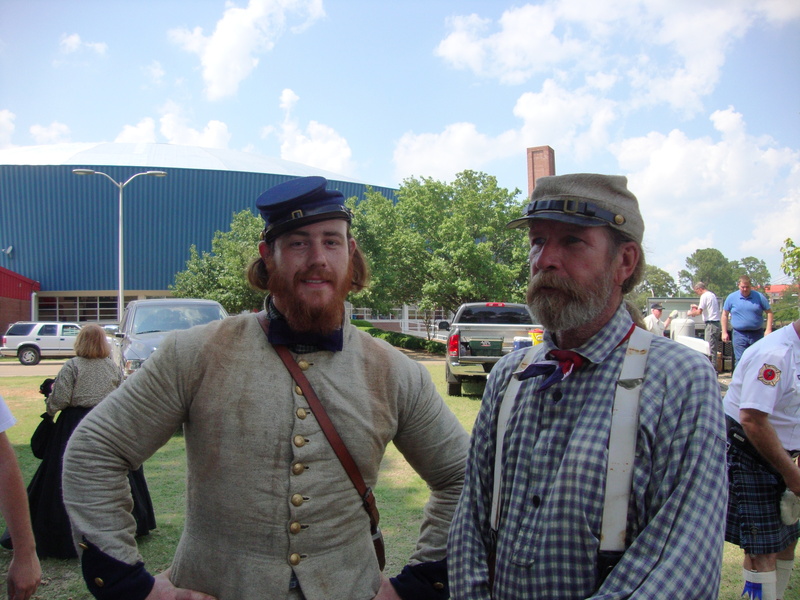 Pose with your favorite Confederate soldier and/or Southern Belle! Please try to attend. The more the merrier. If we can get a good crowd, it will show our City Council that Horn Lake Library needs to expand! Thank you in advance for attending. See you there! The death toll of the Civil War was recently increased from 620,000 to 850,000 because of miscalculations made in the 1870 census. Although this number is assumed to have been made up of American men, many foreigners fought in the War Between the States as well. The “Fighting 69th” was the nickname given to the infamous Irish Brigade. Germans, Britons, Scots, Persians, Mexicans, and American Indians also fought, as did men from nearly every other corner of the earth. Some of these soldiers returned to their native lands after bravely fighting for whichever side they chose. Confederate grave markers dot the landscapes of these countries. 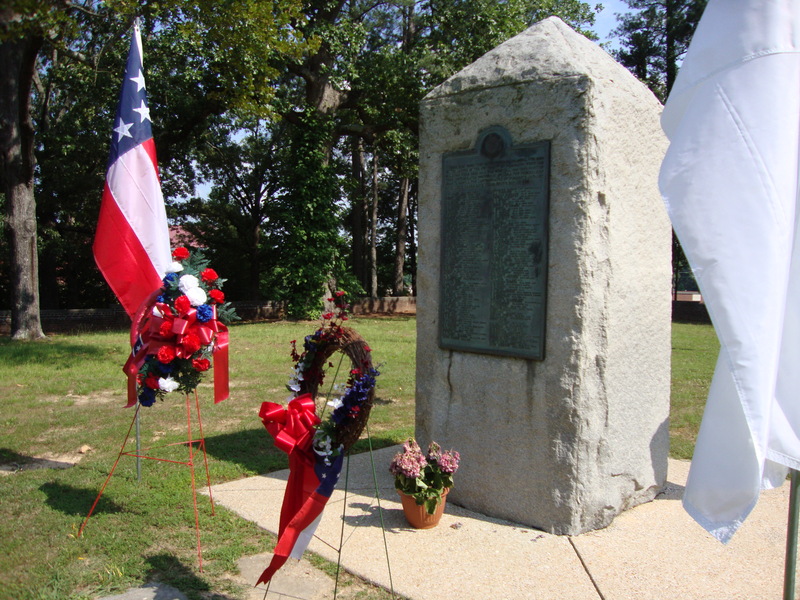 The Sons of Confederate Veterans have camps in many of these locations, and strive to keep current records of veterans’ graves. Varina Banks Howell was born on May 7, 1826 at her family’s plantation, the Briars, near Natchez, Mississippi. She was one of eight surviving children. Her parents were a unique pair, in that her father was a Yankee from New Jersey, and her mother, a Southern Belle, was the daughter of a wealthy planter. Because of that, the First Lady of the Confederacy was an irony, referring to herself as a “half-breed.” Varina’s father managed to provide for his family, but prosperity was intermittent, as he squandered his wife’s inheritance and made poor investment decisions. Varina was not considered attractive by nineteenth century standards: she was tall, thin, and had an olive complexion. She was very well educated, however, and learned to play the piano beautifully. She was able to attend Madame Greenland’s School in Philadelphia, but the money soon ran out, so she returned home to complete her education with a private tutor. She established the reputation of being highly intelligent but outspoken, which was frowned upon in Victorian society. He impresses me as a remarkable kind of man, but of uncertain temper, and has a way of taking for granted that everybody agrees with him when he expresses an opinion, which offends me; yet he is most agreeable and has a peculiarly sweet voice and a winning manner of asserting himself. The fact is, he is the kind of person I should expect to rescue one from a mad dog at any risk, but to insist upon a stoical indifference to the fright afterward. After Varina returned home, Jefferson asked her parents’ permission to court her, but Varina’s mother objected. She was concerned that Jefferson was far too old for her daughter (eighteen years her senior), that he was still in love with his deceased wife, Sarah Knox Taylor (daughter of President Zachary Taylor), that he was too devoted to his relatives (his older brother, Joseph, raised him after their father died and financially supported him), and that his political views were different (he was a member of the new Democratic Party, but Varina’s family were Whigs). She eventually gave in, and the two were engaged. An enormous wedding was scheduled to take place at the Hurricane, but just before the event happened, the wedding was cancelled. Varina fell ill, and out of concern, Jefferson frequented her home. The two managed to reconcile, and were wed on February 26, 1845 at the Briars with only a small group of the bride’s family in attendance. Their honeymoon was spent visiting Jefferson’s aged mother and the grave of his deceased wife. The newlyweds set up housekeeping in a two-room cottage on the Brierfield plantation, which was adjacent to the Hurricane. Trouble soon appeared in the form of Jefferson’s widowed sister and her seven children, who moved in without Varina’s approval or consent. Her own family’s financial reliance on them was also an embarrassment to her. Addition problems arose when Jefferson left to campaign for Congress and serve in the Mexican War, leaving Varina to deal with domineering Joseph herself. Jefferson was elected to the Senate, so he and Varina moved to Washington, where she thrived. She adored the city and was intrigued by politics. As her husband rose in his political career, she rose in Washington elite society, becoming one of the city’s youngest and most popular hostesses. But when the Civil War broke out, Jefferson resigned his Senate seat, and the two returned to the South. It wasn’t long before Jefferson learned that he had been selected as the new president of the Confederacy. This dismayed Varina deeply, for she knew that her husband didn’t want the job, and that the South would most likely lose the war. However, she dutifully supported him. During the first two years as First Lady, she held extravagant parties. Her friend, Mary Boykin Chesnut, enjoyed and admired her, but others weren’t so supportive. Varina received criticism for being over-extravagant, for not being extravagant enough, for playing favorites, for meddling in politics where she didn’t belong, and for influencing her husband’s decisions. Despite the reticule, she supported the troops by knitting clothing for them, donating rugs for blankets, making shoes from scraps, and visiting wounded Yankee and Confederate soldiers in the hospitals, but she resisted her husband’s insistence to become a volunteer nurse. Jefferson and Varina lost one of their children in the spring of 1864 when he fell from a second-story window of the White House of the Confederacy. A few weeks later, Varina gave birth to a daughter, and nicknamed her Winnie, who later became known as the “Daughter of the Confederacy.” Varina also rescued a young slave boy named Jim Limber, and took him in as her own. In early 1865, Jefferson ordered her to flee Richmond with their children. She financed the trip by selling everything they owned, which came to $8,000 in gold. The family was reunited in Georgia, but Jefferson was soon captured and sent to Fort Monroe prison, where he remained for two years. In the meantime, Varina was prohibited from leaving Georgia. Jim Limber was taken from her, never to be heard of again. After a freed slave threatened one of her children with a gun, Varina sent them to Canada with her mother, and petitioned relentlessly for Jefferson’s release. Finally, he was freed, but he was sickly and frail. The family traveled to Canada and Europe for several years. Jefferson was never convicted of war crimes, but was never able to make a go of any financial endeavors, either. High strung Varina suffered from a nervous breakdown in 1876. While she recovered in Europe and their children studied abroad, Jefferson returned home. He established an insurance company in Memphis, but the business went belly up. He sought the companionship of the wife of a fellow inmate, but the press leaked the news, and Varina, of course, was enraged. Somehow, the two managed to reconcile again, probably because they lost two of their sons (bringing the total to four lost sons). An old friend, Sarah Dorsey, invited Jefferson to live with her at her beachfront home, Beauvoir, in Biloxi. He accepted, thinking that the sea air would do his ailments good, and Varina later joined him. Before Mrs. Dorsey died, she bequeathed Beauvoir to them. Jefferson proceeded to write his memoirs. He died in 1889 while visiting a friend in New Orleans. Varina sold his memoirs the following year, but the book was a failure. She remained at Beauvoir for another year before she sold it to the state of Mississippi for $10,000 to be used as a Confederate veterans’ home, stipulating that it be preserved as “a perpetual memorial sacred to the memory of Jefferson Davis” and the Confederate cause. Once again, Varina received criticism when she moved to New York City to accept a job as a journalist for Joseph Pulitzer’s New York Herald, and took her daughter, Winnie, with her. She befriended Julia Dent Grant, the widow of President and Union General Ulysses S. Grant. Southerners were shocked and offended by her moving to New York and becoming friends with the wife of a dreaded enemy. Not only that, Varina attended a reception and socialized with Booker T. Washington, treating him, to the Southerner’s dismay, like he was an equal. She declined offers to return to the South, and even turned down a residence offered to her in Richmond. 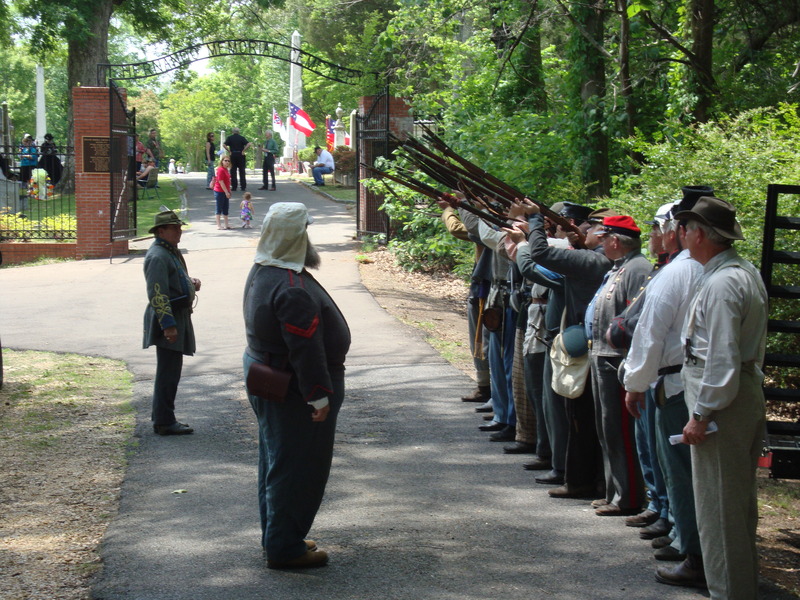 On many occasions, she attended both Union and Confederate veterans’ reunions. She was a member of the Daughters of the American Revolution and the United Daughters of the Confederacy. Varina’s heart was broken when Winnie passed away in 1898. Following a bout with double pneumonia, she too died on October 16, 1906 in her apartment overlooking Central Park. She was eighty years old, and was survived by only one of her six children (a daughter), and several grandchildren and great-grandchildren. Following a funeral procession through the streets of New York City, her body was returned to Richmond and laid to rest beside Jefferson and Winnie in Hollywood Cemetery. One of Varina’s last remaining prized possessions, her diamond and emerald wedding ring, was housed in the museum at Beauvoir, but when Hurricane Katrina hit, the ring was lost. Amazingly, it was discovered on the grounds a few months later, and returned to its rightful place at Beauvoir. 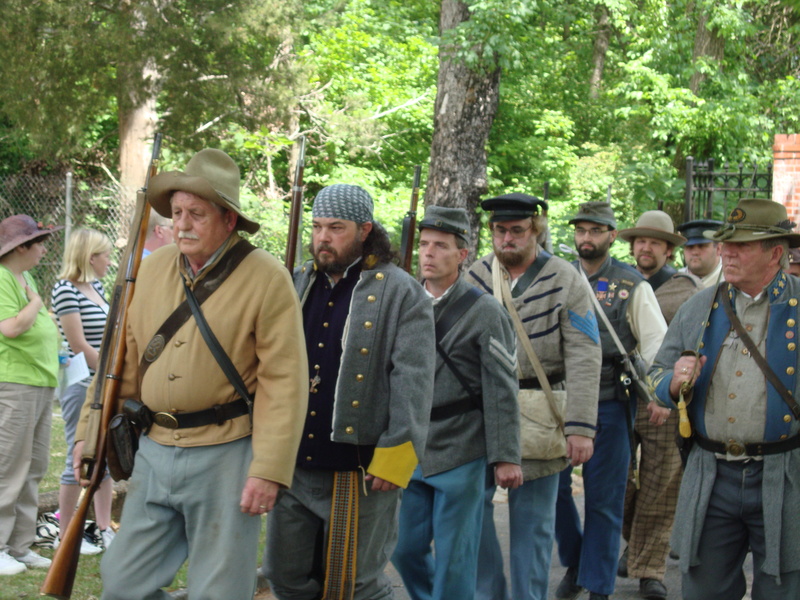 On May 12, two significant, yet sad events took place during the War Between the States. Both happened within miles of each other. In 1864, during the Overland Campaign, one of the most horrific battles of the Civil War occurred following the Battle of the Wilderness in Virginia. 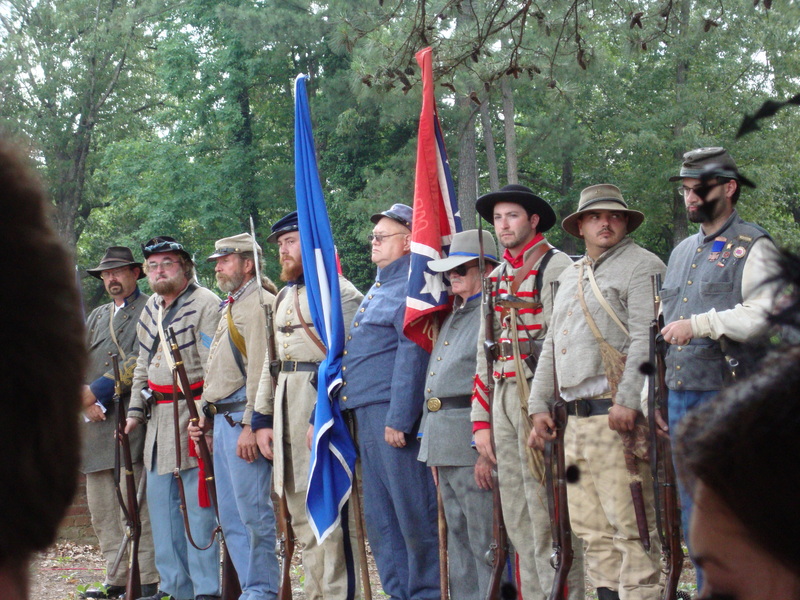 That battle, which took place from May 5-7, paved the way for the Battle of Spotsylvania Court House. Union Major General Ulysses S. Grant ordered 15,000 of Major General Winfield S. Hancock’s men into a land formation known as the Mule Shoe. At the western edge, which became known as the Bloody Angle, men fought savagely in hand-to-hand combat for 24 hours. The battle ranks fifth in the total number of casualties it produced. On the same day, Confederate Major General J.E.B. 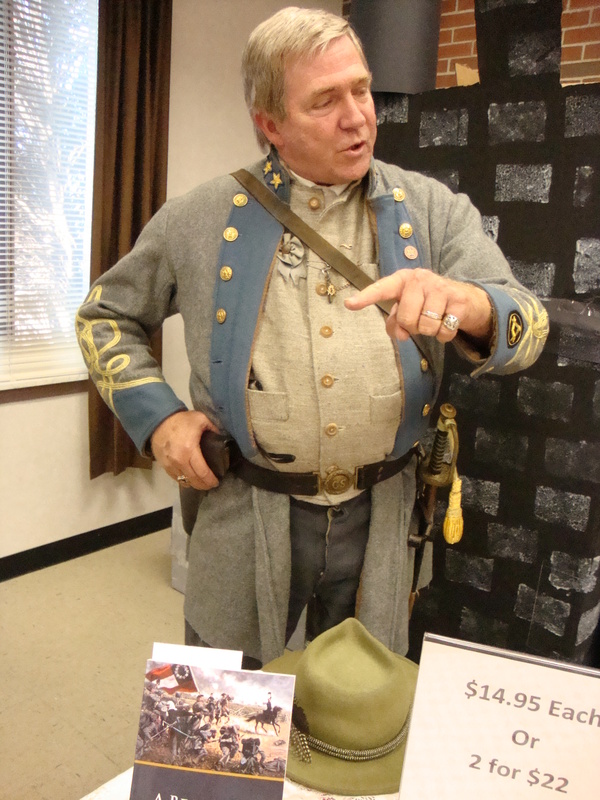 Stuart,General Robert E. Lee’s cavalry commander, lost his life following the Battle of Yellow Tavern. On May 11, Union Major General Philip Sheridan’s 10,000+ troopers confronted Stuart’s 4,500 men at the abandoned inn. 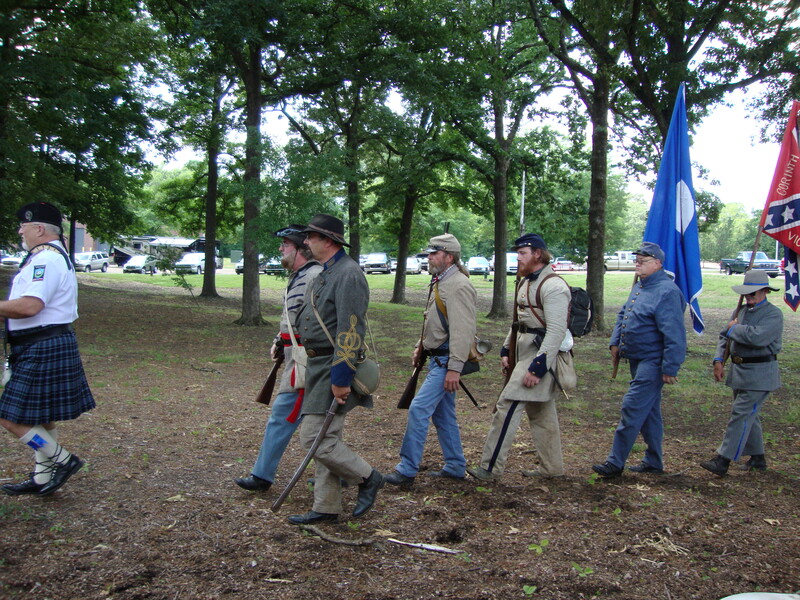 Fighting for over three hours, the Confederates managed to force the Yankees into retreat. Stuart yelled encouragements to his soldiers as he sat on his horse. Suddenly, a dismounted Union private, 48-year-old John A. Huff, who was a former sharpshooter, shot Stuart from a distance of 10-30 yards. The general was taken to nearby Richmond, where he died the next day. I have a Book Launch Party coming up for my new novel, A Beautiful Glittering Lie. Please check out the link below to receive your personal invitation! I hope you all have a chance to attend. If not, you can find the book on my website, www.jdrhawkins,com, as well as Amazon.com and Barnes and Noble.com. Thanks for your support! 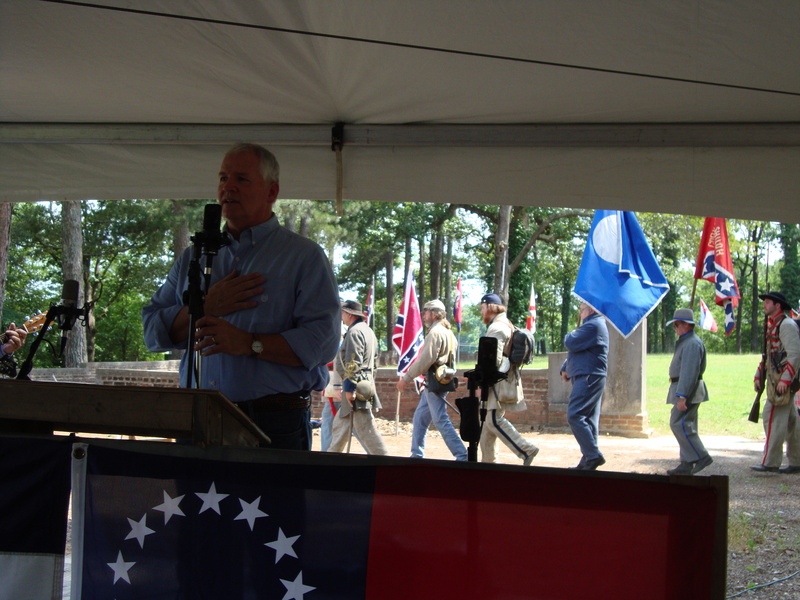 Last Sunday, the Samuel A. Hughey Camp 1452 Sons of Confederate Veterans held their annual memorial service at the Hernando Memorial Cemetery in Hernando, Mississippi. Many spectators were on hand to witness soldiers and the Color Guard march in. 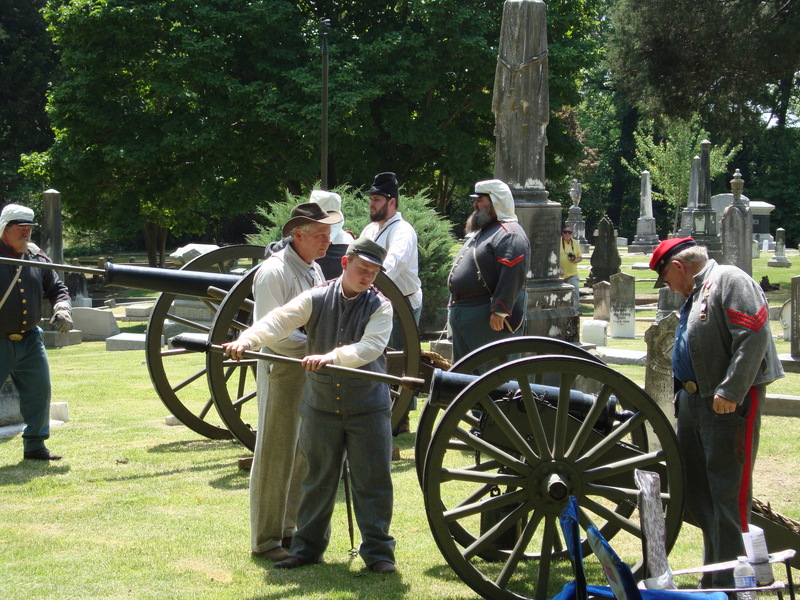 A prayer was offered, and a talk was given by Commander Randy Hailey about the origins of “Taps.” Afterward, two cannons fired off three rounds, and each round was followed by the soldiers’ firing off their guns. Following the ceremony, everyone was invited across the street for a barbecue in Conger Park, courtesy of the Samuel A. Hughey camp.